The Giorgio Armani brand owned and run by the founder designer Giorgio Armani has earned the much hallowed space in the fashion industry through its superior design, relevant themes and trends. It maintains the aura of a real luxury brand. Not only has Giorgio Armani become one of the most respected and known brand names in the fashion and luxury brand industry, it is also one of the most highly valued fashion companies in the world with a value of over USD 3.3 billion. Giorgio Armani started the company in 1975. Being a designer himself, he made apparel with his sense of aesthetics, beauty and luxury, a sense that appealed to the elite of the society. It is a privately held company with the founder Giorgio Armani being the sole shareholder. With many sub-brands designed under the parent umbrella brand of Giorgio Armani to cater to the specific needs of different market segments, it has become one of the strongest fashion and luxury brands in the world. The brand is built on 3 pillars: class, quality and exclusivity. Its product lines cover all corners of fashion, including apparel, swimwear, accessories, perfume, cosmetics, watches, eye wear, bags and shoes for men, women and kids. Giorgio Armani is very expansive in Asia Pacific with its multiple future growth markets for luxury brands. For example, China is embracing premium fashion and luxury goods at an increasing pace, and Giorgio Armani has been one of the forerunners to exploit the market potential. There are approximately around 10-13 million Chinese luxury brand customers. According to global management consultancy Bain, the personal luxury goods market in China itself is constantly growing and is worth USD 20 billion, as at end-2015. Giorgio Armani opened its Emporio Armani store next to Shanghai’s historic “The Bund” in 2004 and has been opening stores across China since then. Unlike the usual practices of branding that are normally seen in the consumer goods industry, the branding philosophy in the fashion and luxury goods industry is quite unique and personality based. Most of the famous fashion houses like Christian Dior, Yves Saint-Laurent, Gucci, Versace and many others were built on the personality of the founders. As design is the most important ingredient of fashion and luxury apparel, the individual style of these designers becomes crucial to creating and sustaining the fashion brand strategy. It is these unique designs and patterns that reflect the personality of their creator that gives an identity to the brand and helps to differentiate it from the crowd. The Giorgio Armani fashion house, like many other fashion houses, has been built primarily on the unique personality and identity of Giorgio Armani himself. The brand takes on the identity of the founder through the designs created. Though this aspect of the fashion industry provides fashion houses with a strong sense of differentiation that can be conveyed in a tangible and visual form, it also poses a serious threat. When an entire brand and fashion house are built on the basis of the founders’ personality and identity, it becomes a major challenge to keep the brand going after the demise of the founder, something many of the fashion houses have realized in the recent past. Whenever a brand gains popularity and acceptance from its target customers in its core business, the next obvious step for the brand is to charter a new course by venturing into different product lines, different segments, and ever different markets. This phenomenon seems common across industry sectors. Giorgio Armani with its iconic popularity amongst the elite of the society and the fashion literate segment of the market has followed similar steps by extending the brand. Today the Armani brand architecture encompasses one corporate brand and five sub-brands, each catering to different sets of target customers and at different price levels. Giorgio Armani Prive: This is Armani’s couture line developed in 2005 for the red carpet. It offers gala and award-show wear including gowns and suits that are ultra-luxurious, exemplifying the understated chic that epitomizes the essence of the Giorgio Armani brand. This line is almost exclusively targeted at the rich and famous. The signature Giorgio Armani line: This is the main collection of very high quality classic apparel that consists of the signature Armani suits, Oscar gowns and so on, which are of the ultra-premium price points and essentially targeting consumers in the 35 to 50 year old age group. Armani Collezioni: This is Armani’s venture into a slightly lower priced market segment. This basically caters to the segment of people who aspire to wear high quality Armani apparel but cannot afford the ultimate signature line, or to those who crave to add extra products to their existing portfolios. The Armani Collezioni brand, with a price point of almost 20% lower than the main line, provides an excellent line of affordable fashion. Emporio Armani: Targeted especially at the young professional segment in the 25 to 35 year old age group, the Emporio Armani brand provides fashionable and contemporary designs that are relevant to the target customers. EA7: The EA7 line was inspired by Ukrainian footballer Andriy Shevchenko, who at the time played for A.C. Milan and wore the number 7 jersey. It was created for everyone who loves exceptional style and wants to maximize their experience from sporting activity. This fashion label caters to a wide range of sport including running, fitness, golf and winter sports. Armani Jeans: This is the lowest range of Armani apparel. 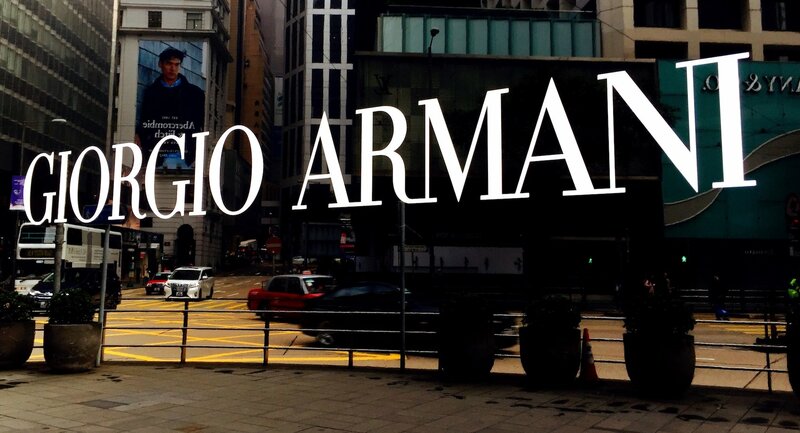 This Armani brand is to the value segment what the signature line is to the premium segment. Catering necessarily to the young adults in the 18 to 30 year old age group, the Armani Jeans collection provides a trendy yet fashionable and luxurious line of apparel. A/X Armani Exchange: This is the licensed brand of chain of retail outlets of Armani fashion house. This serves as the ultimate testimony to the power of the brand. By providing the entire range of its apparels and accessories, Armani Exchange provides customers with the complete feel of the luxurious fashion of Giorgio Armani. A/X Armani Exchange offers casual fashion of a good quality – which is exactly what the mass market of consumers desire. Armani Junior: This kids fashion brand was designed specifically for infants and children. The brand is best known for its sophisticated simplicity, sleek tailoring and classic colours. Taking inspiration from the adult line, sumptuous materials and attention to detail are combined to create a collection which is synonymous with quality. These sub-brands help Giorgio Armani to operate in many segments of the fashion apparel market. But this is not all. Not only does Armani straddle many segments of the same product category, but also many different product categories. Leveraging its strong brand equity in the fashion apparel market, Giorgio Armani has ventured into other related categories like eye wear, watches and cosmetics. These are made available in each of the above-mentioned brand categories to ensure that it is available to the different segments of the market. It is usually argued that eye wear, perfumes, watches and cosmetics are strongly related to fashion and luxury and thus it is natural for fashion houses to extend their brands into these categories. Giorgio Armani is a very strong example for this argument. By leveraging its expert knowledge of the fashion and luxury industry, Armani has been able to come up with winning concepts in the other product lines of cosmetics, watches, jewellery and eye wear. Armani Casa (home collection): This brand shows how Giorgio Armani presents his ideal for living, his dream of the perfect environment: an intimate and comfortable space in which to relax, unwind and entertain. It offers up-market furniture, home accessories, textiles and decorative objects. In July 2015, the Giorgio Armani parent brand signed a luxury home project in the south of the Chaoyang Park, Beijing which is predicted to complete in 2017. The project consists of homes, a 5A office building, a shopping street, underground malls and supporting facilities. The design and building of facilities will be managed by Armani Casa. Armani Beauty (fragrances and cosmetics): This beauty line reflects the signature Armani sophistication in its makeup, skincare and fragrances. It teams up with international makeup artists, like Linda Cantello, to communicate its expert knowledge in the art of beauty. Armani-branded Dolci (confectionery): This is Armani’s confectionery line focused on the concept of sophistication in gifting. It offers pralines, chocolates, jams, honey, tea, shortbread biscuits and more with its signature ‘A’ logo. The range of products is exclusive and distinguishes itself not just by its high quality but also the rich and sophisticated image of its refined packaging. Armani-branded Fiori (flowers): Armani/Fiori was created in 2000 and brings the refined taste and sophistication of the Armani style to the world of flowers and floral décor. The boutiques offer arrangements and decorative elements with clean lines in sophisticated colours. It also offers complete and personalized services – clients are attended to and carefully guided through the selection of their ideal floral arrangements or décor. Armani Ristorante (restaurants): This is a bold move by Armani to enter the food business, but it has been proven a success thus far. It has opened 2 restaurants in America, 9 in Asia and 9 in Europe. Its restaurants are located in the prime cities, are impeccably designed and offer only the best cuisine that allows diners to dine in style, reflecting the brand philosophy. Armani Hotels (hotels): To add to this wide portfolio of brands, Armani struck a deal with a Dubai-based property group Emaar in 2005 to come up with a chain of Armani branded hotels and resorts. It unveiled its Armani Residences, a luxury collection of 144 private residence homes in Burj Dubai, the tallest building in the world in 2007 and its Armani Hotel Dubai in the same building in 2010. In 2011, it launched Armani Hotel Milano in the Manzoni 31 building, right at the heart of the prestigious Quadrilatero della Moda. All of these other product lines embody, in all its facets, Giorgio Armani’s personal aesthetic philosophy, which is based on the signature qualities of elegance, sophistication and comfort. As is the trend in the fashion industry to operate in the entire spectrum from apparel, jewellery, cosmetics, watches, perfumes and luxury hotels, Armani has been able to leverage its brand equity to be present in most of these lucrative sectors. Giorgio Armani is truly a success story of classic brand management – appealing to people through its entire brand experience and philosophy, rather than only through its products. The founders’ dilemma: This phenomenon is classic and occurs for any company that is built on the basis of a strong and charismatic founder and leader. As the main competitive advantage for the company is the founder/leader himself, neither the founder nor the company would think of life after the founder. Moreover, whenever the companies’ success and survival depends very heavily on the existence of a single person, such companies and its leaders should take proper action from an early stage so that proper leaders can be nurtured within the organization. The founder Giorgio Armani himself has a net worth of USD 7.1 billion as at October 2016 – almost twice the company value. Leadership needs to put in place a solid succession plan to ensure business continuity of the brand and company. Brand dilution due to over-stretch: Strong brands, as are well known, provide companies with a very powerful tool to enter newer markets with limited investments by leveraging their strong brand equity. It gives companies numerous revenue streams. 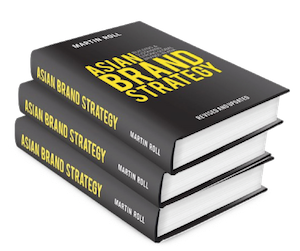 Given this simple but strong fact, it is not a surprise that most of the strong brands in the world have leveraged their brand equity and extended their brands into newer product categories, newer markets and even newer market segments. The examples that immediately come to mind are those of Calvin Klein and Pierre Cardin. One of the many reasons that these brands diluted their brand equity was because they used their brand names on a very wide range of products. One of the main factors that make fashion houses and their products premium are their exclusivity. By franchising their brand names to literally everything, these brands lost a significant portion of their strong brand equity. Armani will need to consider this strategically especially if it is planning to expand into other businesses. All categories should ultimately encapsulate the spirit of the Armani brand and serve to strengthen it. Managing brand architecture: Given Armani’s portfolio of brands within the fashion segment, as in many of the other markets that it operates in, effectively managing this portfolio of brands will prove to be the biggest challenge in the future. As the brand moves into different territories, interacts with different sets of customers, and represents different personalities, it becomes quite a task for maintaining consistency across all of its marketing communications and other activities. Maintaining financial independence: Armani is a rarity from a financial perspective as well. Giorgio Armani has been the only shareholder of the company from its inception till now. The company has not taken any bank loans either. Having this financial independence has helped Armani immensely as the company tests newer territories. With no pressures from shareholders and without having to bother about meeting quarterly targets, Armani has been able to operate quite successfully. But to continue as a one man company in the future could be quite difficult. With consolidation happening in many industries, it might just be a matter of time that it catches up with the fashion industry as well. When this happens, it could pose a big challenge to the working style of Armani and its continued success. Sustaining consistent brand personality: One of the main aspects of a fashion brand is its personality and its identity in the marketplace. Building and sustaining a personality that is relevant and one that resonates with the customer base is one of the most difficult aspects of building a strong brand. Armani, with its presence in diverse markets, a very wide brand portfolio, and interacting with diverse set of customers, faces this huge challenge of building a relevant and resonant personality.